Looking for more information about Cauda Equina Syndrome? Our articles section is designed to provide you with some more in depth knowledge about Cauda Equina Syndrome. If you are looking for more information which is not covered here, please either call us free on 0800 234 3300 (or from a mobile 01275 334030) or complete a Free Online Enquiry. » Was my MRI Referral for Cauda Equina Syndrome Negligent? » Can I Sue my GP for Misdiagnosis of Cauda Equina Syndrome? » Is Loss of Sexual Feeling due to Cauda Equina Syndrome Negligent? » Can I Sue Accident and Emergency for Ignoring my Cauda Equina Symptoms? » Should My GP Have Examined Me For Cauda Equina Syndrome? » Was My Cauda Equina Syndrome Diagnosis Negligent? » Can I Sue for CES Due to a Missed Prolapsed Disc? » No Cauda Equina Red Flag Warnings: Was my GP Negligent? » Is Delayed Surgery for Cauda Equina Syndrome Negligent? » Can I Make a Claim for Loss of Bowel Control due to Cauda Equina Syndrome? » Can I Make a Legal Claim for Cauda Equina Syndrome? » Can I Make a Claim for CES Delays? » Can I Sue the NHS for Complete Cauda Equina Syndrome? » Can I Claim Compensation for a CES Diagnosis Delay? » Cauda Equina Syndrome - Was My Hospital Negligent? » Can I Claim for Loss of Earnings due to Cauda Equina Syndrome? » Can I Get Compensation for Late Diagnosis of Cauda Equina Syndrome? » Can I Make a Claim for Lost Sexual Function? » Can I Sue for Cauda Equina Syndrome? » Can I Claim Compensation for Lost Bladder Control? » How do Cauda Equina Syndrome and Conus Medullaris Syndrome differ? » What is Saddle Paraesthesia? » Can I Get Compensation for Cauda Equina Syndrome? » Cauda Equina Syndrome - Was my GP Negligent? » Was My Cauda Equina Syndrome Surgery Negligent? » How Common is Cauda Equina Syndrome? » How Do I Know if I Have Cauda Equina Syndrome? » Does Cauda Equina Syndrome Need a Higher Profile? » Could my Cauda Equina Syndrome have been prevented? » Can Cauda Equina Syndrome cause sexual problems? » Can Cancer Cause Cauda Equina Syndrome? » Can I get Cauda Equina Syndrome from an Infection? » What causes Cauda Equina Syndrome? » What Is The Cauda Equina? » Does Cauda Equina Syndrome Have To Be Treated in 24 Hours? » Why Did I Get Cauda Equina Syndrome? » Where Can I Get Free Legal Advice About Making a Cauda Equina Claim? » How Do I Sue the NHS for Cauda Equina Syndrome? » Have I Run Out of Time to Make a Claim for Cauda Equina Syndrome? » How Is Cauda Equina Syndrome Treated? » Who Gets Cauda Equina Syndrome? » Did You Report Red Flag Symptoms To A Doctor? » How Long Does A Cauda Equina Claim Take? » What Happens If Cauda Equina Syndrome is Not Treated? » Is Numbness a Symptom of Cauda Equina Syndrome? » Can You Predict Who Will Get Cauda Equina Syndrome? » Did Doctors Miss The Chance To Treat Your Cauda Equina Syndrome? » Does Complete Cauda Equina Syndrome Require Surgery? » Reduced Sensation - Cauda Equina Syndrome? » How Should Cauda Equina Syndrome Be Managed? » Should I Have Been Referred For Cauda Equina Syndrome Sooner? » Will My Bladder Symptoms Improve After Cauda Equina Surgery? » Will My Cauda Equina Syndrome Get Any Better? » Can Cauda Equina Symptoms Come and Go? » Can I Claim For Cauda Equina Syndrome? 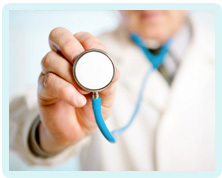 Would You Like Assistance from Specialist Medical Negligence Claims Solicitors? Early legal assistance can be vital so please contact us if you would like to discuss your situation. Please call us free on 0800 234 3300 (or from a mobile 01275 334030) or complete our Online Enquiry Form.